ESG Review: Cisco SD-WAN and Amazon Web Services (AWS). Get the report. 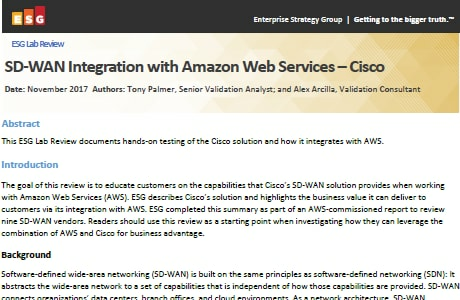 ESG tested the Cisco SD-WAN solution integration with AWS. See lab results and the most compelling reasons to adopt an SD-WAN.